Hello Lovelies! It's March 1st, can you believe it! With each day that passes we are getting closer to the warmer weather here in New England. In anticipation of the heat to come I am getting a head start on updating my sandal collection. It's all about finding deals where I can and a sandal that is more than the average flip flop. Plus, I want to get the style I want at the price I want before the madness starts with sandal season. I've always loved the style of DV by Dolce Vita sandals. They are casual enough to wear with jeans and a white tee, but the gold accents give it a sleeker finish so you can easily wear them with your favorite summer maxi. At $69.00 a pair they are definitely an investment and solid summer staple, but I couldn't resist the urge to search for a pair similar in style for a lower price. For every Splurge there has to be a Save (not dupe) out there somewhere--per my last Splurge or Save post. ﻿Though the DV by Dolce Vita sandals hold a sweet spot in my retail heart, the Target sandals hit the sweet spot of my lightweight wallet. For the price of one pair of Dolce Vita sandals I can buy two other colors in addition to the black pair from Target. That works for me! :) Either way you go it is a win-win situation. You turn out with a fabulous summer sandal! Have you found any great Splurge or Save options lately? I love these shoes! And at such an affordable price! 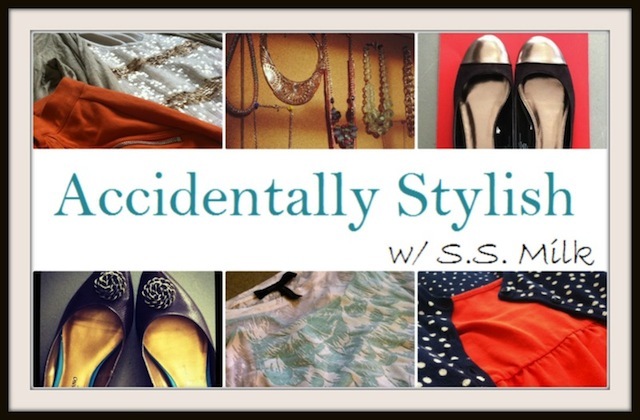 Check out theStyleUp.com for weather-related advice! Love the Dolce Vita sandal, cute! I prefer the DV's as to me, they look a little more 'rich' materials-wise and I like that the gold wraps around a bit further than the Target ones. Both are gorgeous, perfect for summer!